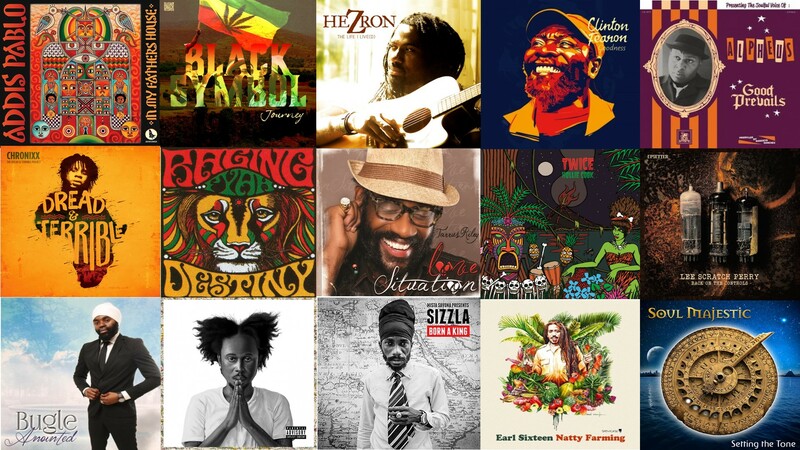 Six months of 2014 have passed and a few days ago Reggaemani presented a list with the 25 best reggae songs from 2014 so far. Now it’s time to present the albums, and competition has as usual been fierce with a huge number of strong albums from debutants and veterans alike. The list below collects 15 albums and is presented in no particular order. No reissues or compilations have been included. If you are curious about the albums you can download this Spotify playlist with 13 out of 15 albums. My favorite albums Chronixx – Dread & Terrible and Addis Pablo – In My Father’s House made the list of top selections in reggae 2014. More music from the reggae revival coming soon! Where is Midnite’s Beauty For Ashes in your list? Hi, competition was tough and it didn’t qualify for the final selection. Hmmm.. I usually can find your playlists on Spotify. This one doesn’t come up. Chronixx – Dread & Terrible is my number one. I am looking for a compilation album, recent, that Anthony B did with some other artists, The song I am looking for is called, “Harmony”. Can you direct me please!